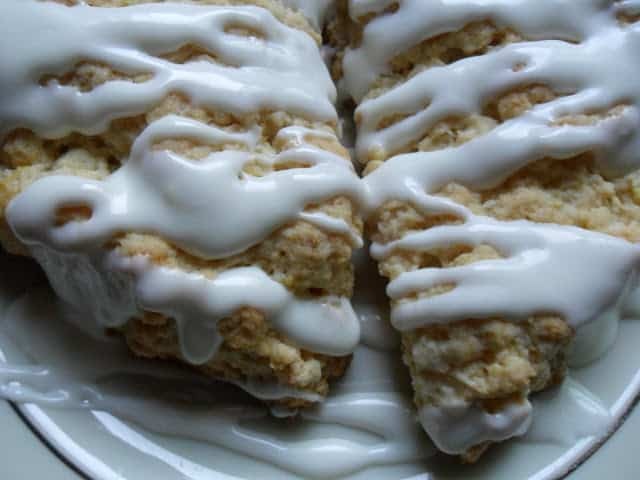 Lemon Cream Pomegranate Scones with Lemon Glaze are super delicious. Light and lemony, with pomegranate ails dotted throughout. 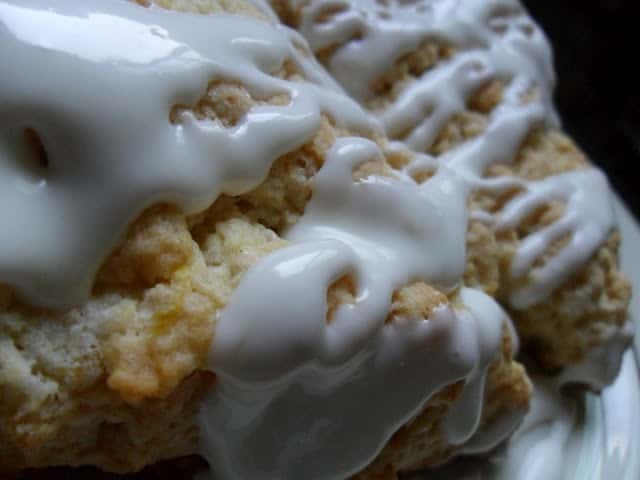 Like all scone recipes, this one is fast, easy and affordable. 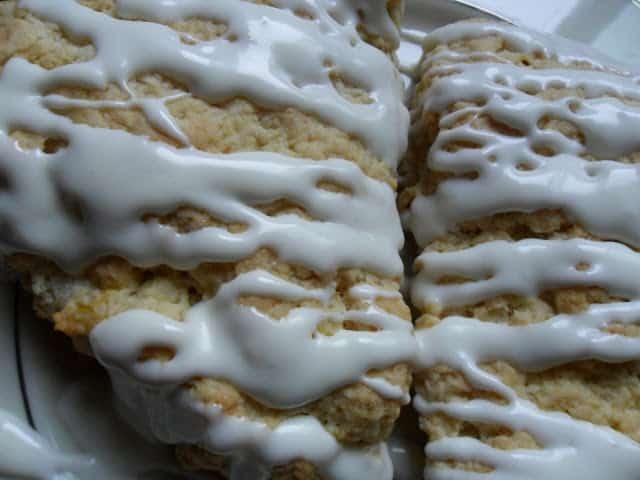 Another plus when making scones, they freeze well so you can double the recipe, bake the scones, cool and freeze half. This way you’ll always have scones available. Just remember, if you freeze some scones, glaze them after you thaw them out. Scone [SKOHN; SKON] This Scottish quick bread is said to have taken its name fro the Stone of Destiny (or Scone), the place where Scottish kings were once crowned. The original triangular-shaped scone was made with oats and griddle-baked. Today’s versions are more often flour-based and baked in the oven. They come in various shapes including triangles, rounds, squares and diamonds. Scones can be sweet or savory. Light and Lemony with a hint of pomegranate. Lemon glaze adds that right amount of sweetness. In medium bowl stir together flour, sugar, baking powder, baking soda, and salt. Cut in butter until mixture resembles course crumbs. Stir in lemon zest. Combine egg, lemon juice, pomegranate juice and cream. Add to flour mixture and stir just until combined. Lightly fold in pomegranate seeds. Turn out onto a floured surface, knead 5 to 10 times. Pat into a 10 inch circle. Cut into 10 wedges. Place wedges on parchment lined baking sheet. Make lemon glaze, in small bowl combine all glaze ingredients until smooth.